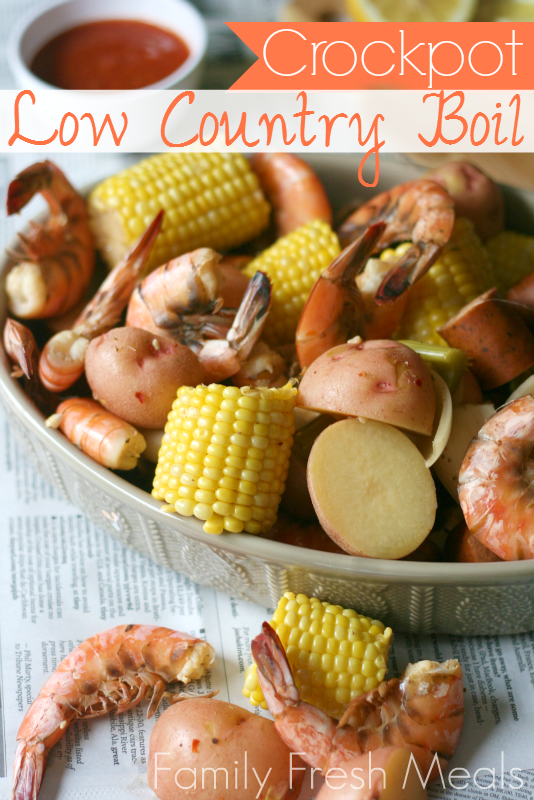 CrockPot Low Country Boil from Family Fresh Meals is a classic summer meal that’s made a bit more convenient using the slow cooker. Be sure to spread newspapers out on the table like they do in the low country! This CrockPot Low Country Boil from Family Fresh Meals has to be one of the most fun-to-eat meals you could make in the crockpot! If you’ve never experienced a “boil” before, it’s a Louisiana-style meal where corn, shrimp, potatoes and sausage are cooked together and then served on a newspaper covered table. In this recipe it’s all cooked together in your slow cooker, making an easy meal even easier! Does it really get any better than that for a Summer Dinner? CrockPot Low Country Boil sounds like a perfect recipe for a party this summer with family or friends. Just make sure you have lots of newspaper, shrimp sauce, and lemons and you’re all set to have a blast! 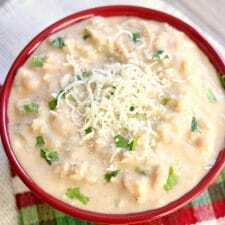 Corey recommends a 6 or 7 Quart Slow Cooker for this recipe. Use the Index Page for Summer Dinners to see all the recipes for Slow Cooker or Pressure Cooker Summer Dinner Ideas that have been featured on this site. What a great idea for a summer party meal! Thanks Lydia; that is exactly what I thought when I saw the recipe!